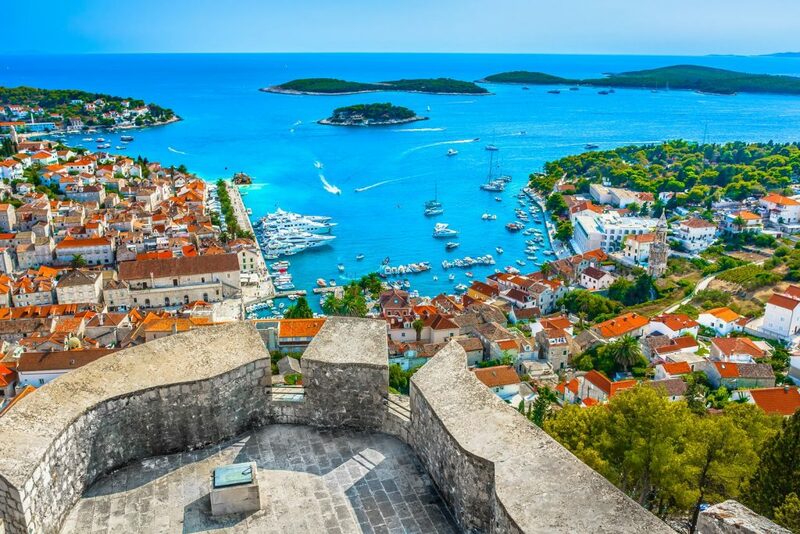 HVAR HOLIDAYS [2019 / 2020] BOOK TODAY! 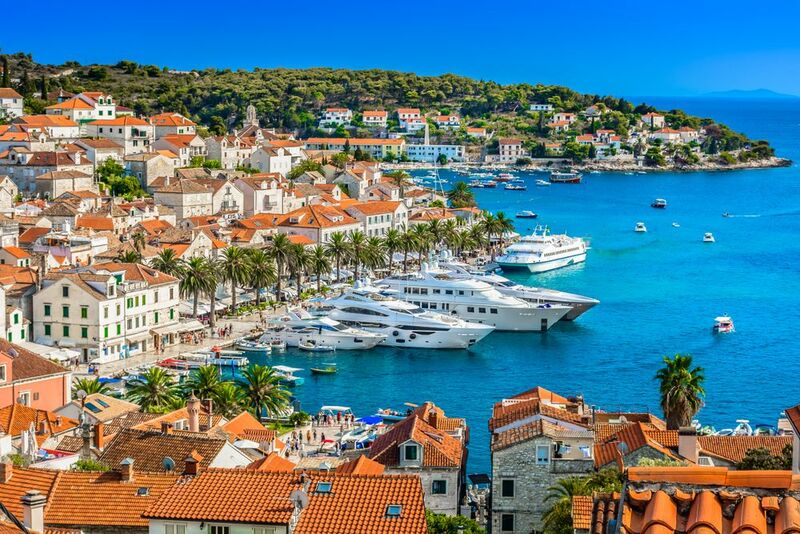 There is a jewel upon the Adriatic sea that you might have overlooked known as Hvar, Croatia. Being one of the many coastal cities in Croatia, holidays in Hvar are increasingly popular, and, with azure skies and even bluer seas, makes for the perfect place for a holiday. Whether you are looking to sip wine and lounge on beaches or want to go island-hopping around Split, Hvar, and Dubrovnik to experience adventures at every turn, Hvar has something special for you. Spend your holidays to Hvar travelling to this beautiful, historical coastal destination with us this summer. Don’t miss out; spend your time with us in beautiful Hvar and book today! Visit historic Split, Hvar island & magnificent Dubrovnik over 10 nights! Hotel stays, all transfers & guided tours included. 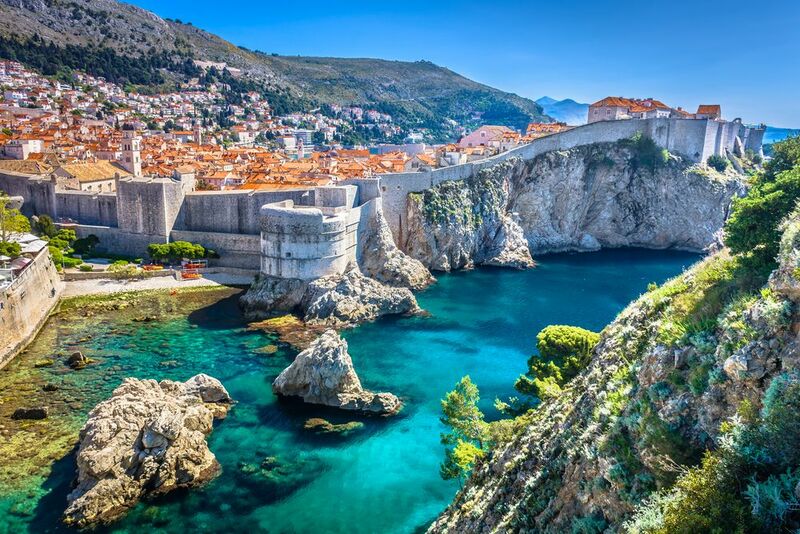 Walk the Dubrovnik city walls, enjoy spectacular views over the Adriatic and relax on one of Hvar’s sunny beaches! Visit the Ancient Roman city of Split and the Island of Hvar, famous for its historic Old Town and sunny beaches. Starting from historic Split, you’ll explore the cobbled streets of Hvar and Korčula, and finish in spectacular Dubrovnik. This fantastic island hopping tour of Croatia takes you to Croatia's most beautiful cities and islands. 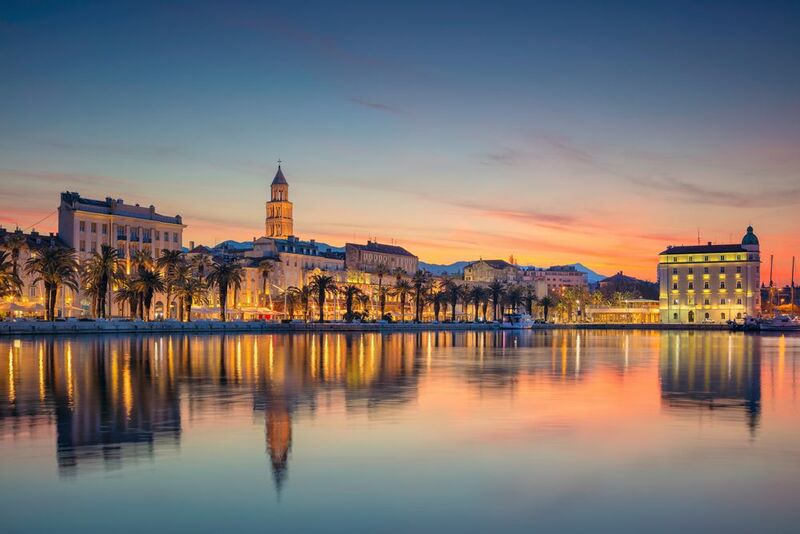 With the magnificent Diocletian's Palace in its centre, Split is one of Croatia's most popular destinations. Croatia has over 1200 islands, but Hvar is special. The island is on the Adriatic sea, close to mainland Croatia. Due to its location, Hvar receives an annual 2726 hours of sunshine and has a moderate climate. You rarely have to worry about carrying an umbrella on your Hvar holidays. Adding to the sense of adventure, to get to Hvar, you first arrive at the international airport in Split then take either a ferry, ship, or seaplane to the island. Now that’s truly island life! If you’re having trouble picking a destination for your next holiday, here are a couple of reasons to consider Hvar, Croatia. Due to the wonderful climate and endless sunshine, Croatia and its thousands of islands are truly fertile land. Hvar has a wine tradition that’s over 2,400 years old. Additionally, olive groves produce some of the finest olive oil in the world. The island is also blanketed in lavender fields, and you can enjoy the scent of lavender wherever you go. But that’s not all. Hvar has mouth-watering food that fits all diets, even vegetarian/vegan, and is based off Mediterranean influences. Many of the restaurants offer seafood delicacies along the coastline, but as you venture farther inland, you’ll find many traditional restaurants called konoba severing up Croatian meat dishes. Throughout Hvar and other adjacent islands, you will find beaches, mountains, cities, towns, and more. Each of these places boast more than enough activities to keep you entertained. Whether you enjoy shopping, deep-sea fishing, hiking, rock climbing, scuba diving, kayaking, sailing, or visiting museums during your holiday, everything can be done here. Hvar has been fortunate to escape wars and natural disasters throughout the years, meaning that many of the old structures throughout the town have been preserved for hundreds of years. For example, Hvar boasts the oldest theatre in the world that is over 400 years old. There’s even a Franciscan monastery that’s over 550 years old. Don’t forget to check out the fortress, which appeared in the hit TV series The Game of Thrones. The nightlife in Hvar is so good even Prince Harry and Beyonce partied here. Despite the relaxed settings and quiet streets of Hvar during the day, when the sun goes down, the nightclubs and bars come alive. There’s also moon parties on the beach. Hvar has some of the finest beaches in the world. The top 5 would be Lucisca, Dubovica, Kordovon, Gdinj Bays, and Grebisce. Depending on whether you want a family location, undeveloped settings, peaceful waters, or the convenience of nearby accommodations and restaurants, there’s a beach with your name on it. Since the waters are so crystal clear, snorkelling is a must-do for all ages! Wherever you go, though, you can catch majestic sunrises and sunsets—so be sure to bring a camera. Now that you know what awaits you in Hvar, how are you going to get there? At Tour Croatia, we offer a range of Hvar Holiday packages to choose from and will meet your travel budget. Many of our tour packages, such as the Split & Hvar Twin-Centre Holiday or the Split, Hvar & Dubrovnik Multi-Centre Holiday give you the best of Croatia over a course of several days. 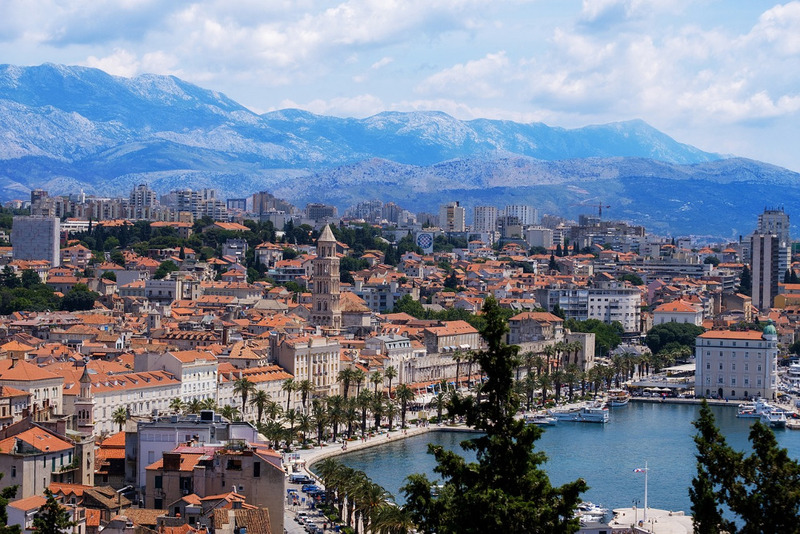 Since you journey is bound to begin in Split, we show you the best attractions in the historic city, including those on the UNESCO World Heritage Site list, before guiding you over to Hvar by catamaran or ferry. You are also given free time throughout the duration of your visit, allowing you to sample the culture and day-to-day life of these locations. Even if you don’t plan on staying Hvar for a long time, we can customise your experience to include a couple of days in Hvar. For example, our Croatia Island Hopping Highlights Tour includes tours of famous locations like Split, Dubrovnik, Hvar, and Zagreb. 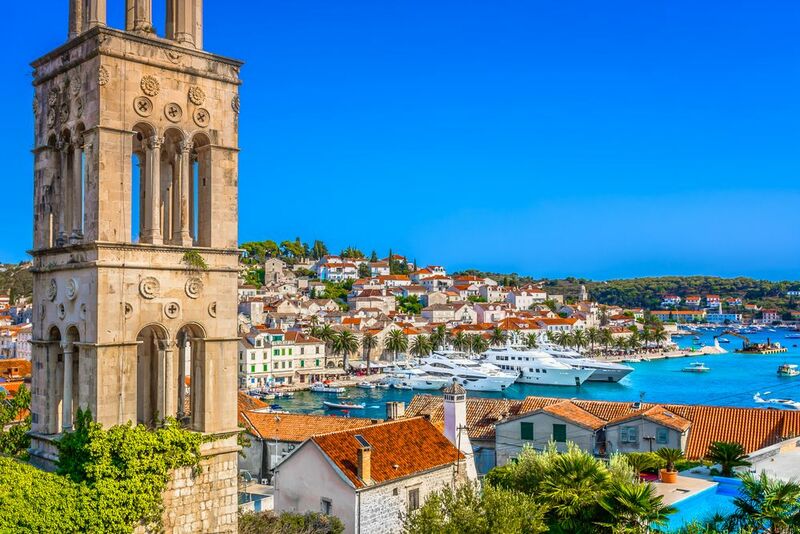 In these places, you can venture through Hvar Town and Harbor, visit Korcula Island—the birthplace of Marco Polo—and the ancient Diocletian Palace, a UNESCO site. Once you’ve seen some of the gems of the mainlands, we organise transport to Hvar so you can experience the wine, dining, and nightlife. Having a Hvar holiday has never been easier. Every Hvar Holiday tour package includes airport transport if needed, catamaran or ferry tickets, accommodations at 3 to 4 star hotels or B&Bs in Hvar or other destinations, and guided tours. You can even customise your itinerary to include the attractions that you want to see, or you can leave your schedule much more open for flexible free time. We are more than happy to make suggestions about which attractions in Hvar you should visit, such as excursions to other islands or doing a specific activity like kayaking, biking, or a Jeep safari. Hvar is where you can truly seize the day, enjoy an upbeat atmosphere, and enjoy hours of sunshine and surf. Whatever your plans for your Hvar holidays, Tour Croatia has a package deal to make your dream a reality.